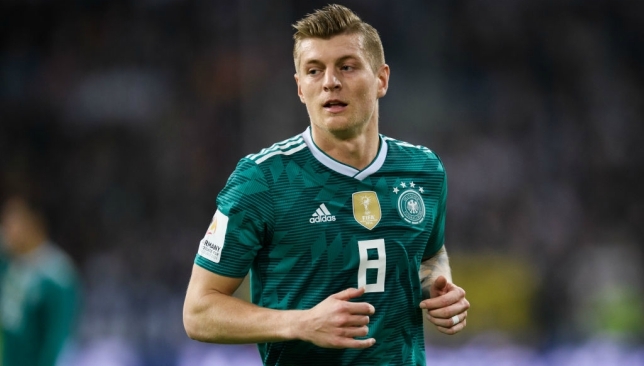 Man United in the battle to sign Real Madrid footballer Toni Kroos and preparing to make an offer in July when the transfer window opens again. Ole Gunnar wants to strengthen the midfield, and his primary target is the German player who has an excellent campaign and proves his worth one more time. Juan Mata and Nemanja Matic already up to 30, Andreas Pereira preparing to change the working place, Ander Herrera and Paul Pogba linked with several clubs and their back-up is necessary. PSG are also interested in signing, and there will be a real contest for the footballer. His price could increase and become much more. Kroos is a regular member of the national team and also win the 2014 World Cup with them, which is already a big success for the player. He joined the Los Blancos from Bayern Munich in 2014 with a €25m deal. In this season, Toni already made 37 appearances, scored one goal and made five assists in all competition. It is an impressive result, and he can do much more during this campaign. The 29-year-old player has contracted with the Spanish club until 2022, and his release clause is nearly €80m. German midfielder won many trophies during his career like Champions League four times, La Liga and Bundesliga three times. Red Devils will do everything to add him this summer, but it will be difficult as Los Blancos aren’t going to sell such an important figure during the transfer window. Man United also linked with PSG midfielder Adrien Rabiot and Sporting star Bruno Fernandes.